You may have seen ask blogs floating around on Tumblr- the blog is dedicated to one or more characters, and other people send in asks to those characters. The blog owners respond as their character with images and text- it can make for some pretty interesting interactions. This is where we come in! I'm going to be starting a Rt50 ask blog, where the Personas of anyone participating will be available as a character to be asked questions. 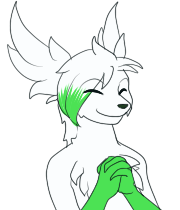 All participants will be given access to the blog and trusted to only respond to asks addressed to your Pokesona. I believe this could be a fun project for us all to bond on, and have chances to make use of our 'sonas. Not an artist? Not a problem, really. 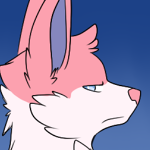 Ask blogs often use RP Icons (like these), and we'll have other group members volunteer to help draw these. TEAMWORK AND BONDING, yeah? Anyone is welcome to join, but it's your responsibility to stay relatively active in the blog! I won't kick you out or anything if you can't keep up all the time, but it'd be nice if we could stay active. Yo, guys! This is still a thing! If we want to get this started up, you guys are gonna have to give me some starting posts. Just mail me something to show you'll be able to introduce your character to the blog. I don't want this to die before it starts, so.. if you're all still interested, lets get going, yeah?